Is £21.95 the correct number there? Correct number, VERY bad wording which I will fix. Is Amex offer stackable i.e. two rentals with say £65 each will get £20 off £130 spend? Yes I used on 2 bookings last time with cumulative spend over £125 and got the offer. Does anyone have any idea if rentals in Australia/New Zealand would work? The Avis site lists them under the “Asia Pacific” region, though obviously they aren’t actually in Asia. Given that the T&Cs state only Asia, rather than Asia Pacific I’d assume not. Although their wording is horrific, so you never know – “the US (North America and Canada)”…didn’t realise Canada was part of the US now. ‘When you rent a car’ – does a van count for this promotion? I can’t see any limits on the Avis deal in terms of number of bookings. Could this apply twice on two separate bookings? The Finnair bonus is a tempting deal tbh but hard to know without experimenting with routes. Do you know anyone who has done the research and/or has tables. Imagine the options to Asia might look quite interesting? Finnair charge 59k return in business from the UK to Dubai via Helsinki. You cannot perform a dummy booking to check availability and see the tax/charges amount unless you have a balance sufficient for the booking. Does anyone have any experience/knowledge they can share? Not tempted by these offers any more, they are usually more expensive when you have status with Avis, and I have never received the promised 5000 avios from the BAEC promotion at Christmas. I didn’t receive mine either so called Avis customer services, who wrote to the appropriate department within BA Exec Club and within a couple of days, the points were posted. Was efficient and easy. Does the Virgin offer stack with the Avis preferred membership or would the latter rule out the bonus miles? I’ve just spoken to somebody at Avis customer services, who said that being Avis preferred will not affect whether you get the miles or not. This is enough for me to go with, and will make a booking today using my Avis preferred as it is a reasonable price for a hire that I needed in any case. Seem so, yes, although the rules do not specify that. We booked via the link and got the points last month; further bookings made also via the link so if any probs will report back. Avis in San Diego tried to rip us off on the petrol….all sorted eventually with Amex assistance. ‘New Durham lounge’ it says in the headline. As Durham doesn’t have an airport I was hoping that Virgin Trains East Coast had opened at first class lounge at Durham station. I did notice a doorway temporarily boarded up in the station when I passed a couple of weeks ago so I thought there was some work going on. Durham Tees Valley, referencing the County rather than the city. It was rebranded from Teesside Airport a number of years ago and has been in a spiral of decline since. The last time I used it, which was many moons ago, there was a charge for simply walking through the door due to a lack of any decent revenue streams within the place. It’s been clinging on for some time now. 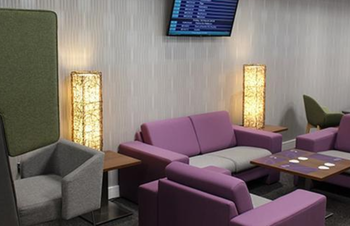 It’s the perfect airport, if you live in Darlington and like flying to Aberdeen or Amsterdam. Agree it is a shame, a London link and a Holiday airline are sorely missed. I think Easyjet run training out of it? And the railway station is a mile away from the airport and the train stops once a week! I remember flying from Teesside as a kid on charter flights. Shame. With the Finnair transfer promotion is there anyway of transferring on to BAEC? Or is there any sign of an MR transfer bonus to BAEC in the near future? Does the Amex £20 off apply only to a single transaction, or is it aggregable? Quick google tells me that Finnair’s “Junior awards for kids 2 to 17 are half-off” and that “Finnair imposes considerable fuel surcharges on some routes for both its own flights and some partners, but it has eliminated charges on all European routes, as well as flights to Dubai and Tel Aviv”. Makes the deal any better? Or is this only applicable to Finnair ant OW redemptions? Are we likely to see an Amex MR > BA transfer bonus over the summer? I think you probably need to spend more time in regular airport facilities if £21.95 looks toppy! I paid £9 for two coffees in an airport the other week. I recall buying a double G&T at NCL a year or so back and that was over a tenner. Price it below this level and it’ll be eternally rammed. I admit I am not a frequent user of regular airport facilities in the UK! Although I assume the Pret in T5, tucked around by A3 etc, is cheap and decent. Unless I’m departing very early, I tend to think that £20 for lounge entry is a no brainer if I don’t have access otherwise. A couple of beers and a snack are going to set me back somewhere around that anyway. Once they become over £25 that’s when it’s worth checking out a review or 2. Admittedly the coffee was at Salzburg, but the point stands. I recall maybe 10-12 years back, the Pru’s egg credit card ran a promo for half price lounge access, which back then made it about £8 a pop. We were flying EK J out of Birmingham, who used what back then was probably the only lounge. 2hrs before the EK flight left, the lounge “angels” came round and turfed everyone out who wasn’t flying EK. Far from classy, but a great illustration of how to get lounge pricing wrong.